Statue of Anthony J. Drexel by Moses J. Ezekiel, 1904. 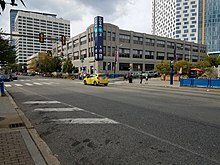 Moved to the Drexel campus in 1966. Housed within the Close School is the Baiada Institute for Entrepreneurship. The institute serves as an incubator for Drexel student startups, providing resources and mentorships to students and some post-graduates who are starting their own business while enrolled in one of the Close School's degree programs or academic minors. 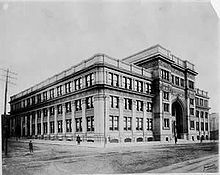 ^ a b c d e "Drexel University Facts and Figures". Retrieved February 3, 2019.